X Factor is one of the most successful casting shows worldwide, and the same is true for X Factor Arabia. The show started broadcasting in March 2006. The current run of 20 shows is again based on the original British concept "The X Factor" that is produced by Simon Cowell and his company SYCOtv. The "X Factor" of the title refers to that undefinable "something" that makes real star quality. 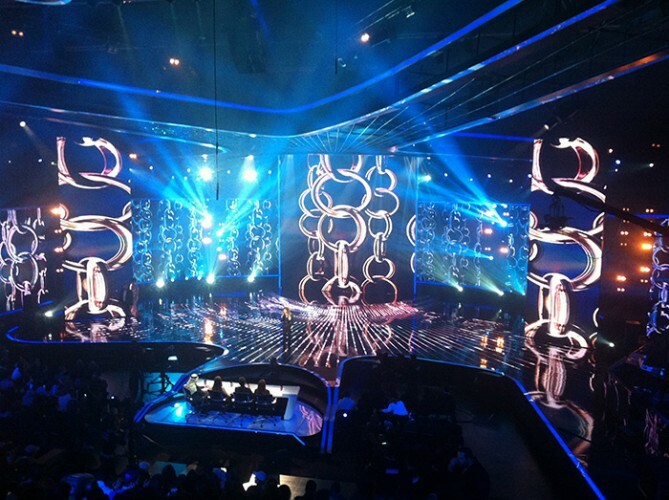 Video for X Factor Arabia, recently produced in Beirut, Lebanon, relied on an MA control system consisting of two grandMA2 light and six MA VPU plus (Video Processing Units). Stephan Flören of LichtUnit GmbH, who worked as video supervisor and specified the MA VPU, the grandMA2 consoles and the video system, explained why he chose MA, and especially the MA VPU: "It was the reliability of the MA VPU and the grandMA2 system as it would have been very difficult to source any spare parts in Beirut." "Furthermore, the new MA software release 2.8 has some excellent new features like the new ‘output mixes’ or the ‘variable speed’ function, which make it possible to smoothly slow down a video until zero. The new ‘show’ mode is a great feature that allows content to be added during a live show without slowing down the output or the whole system. Also there are a myriad of new effects to manipulate videos. "Last but not least, the ‘pixel mapper’ is enhanced. For example the ‘highlight’ function makes it possible to highlight single pixels or panels in white on the console. The whole user interface is very intuitive." 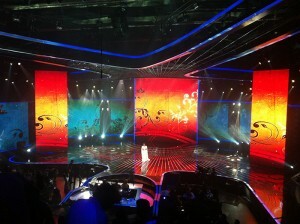 X Factor Arabia’s video content was created by Falk Rosenthal of Gravity. Dennis Muhl was the video operator for LichtUnit GmbH. The set design was by Wieder Design, and trust.rental UG delivered the video equipment for the FOH and the MA VPU. The lighting design was created by the Dutch company Light-H-art B.V. A grandMA2 full-size, a grandMA2 ultra-light and an MA NPU (Network Processing Unit) were used for lighting control.